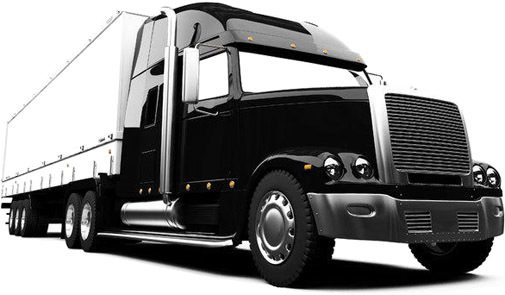 We ARE one of North America's Best All Around Freight Transport Services as we partner with One Horn Transportation to bring small company personal service with the Resources and Expertise of a Large Financially Sound Organization.No Need to waste time searching and RISKING YOUR CUSTOMERS NEEDS with just ANY Broker or Freight Company! 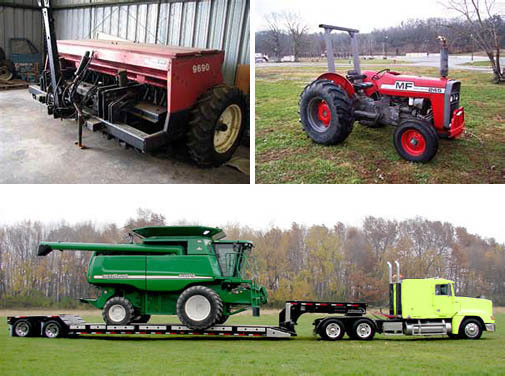 Whether it's for Transporting Farm Equipment from Sales or Farm Machinery Auctions,Manufacturers and /or Distributors. Just call us at 352-410-0917 for Confidence and SAVINGS,both with time and money!There is NO need to WASTE valuable your time and money. 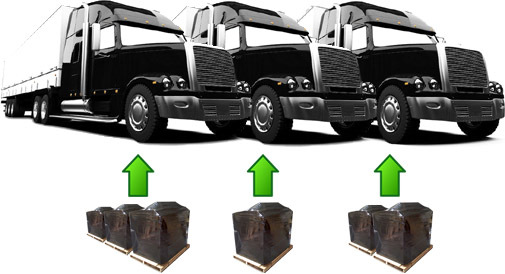 Never again must you invest all that time finding the best truck shipping rates for frequent partial or less than truckload shipping tasks to end up DISSAPPOINTED! With our systematic,streamlined process we provide relaibility,affordability and piece of mind, saving you time and money. At last. Need Future Freight Prices to keep your firm on budget? We OFFER BIDDING SERVICE PRICING FOR future jobs where Shipping Rates are Guaranteed,Small Business Freight Services such as Commercial Accounts, Absolutely NO Surprises! 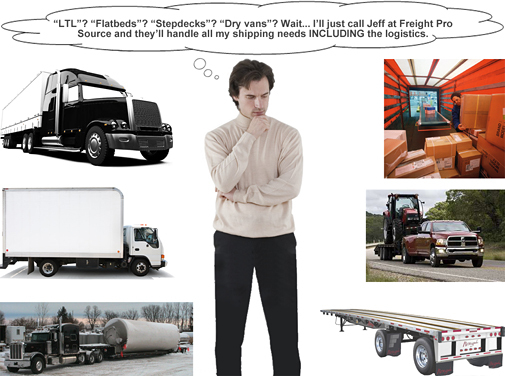 Just a small part of OUR Freight SERVICES...Have Questions???? We have the FREIGHT TRANSPORT answers.... From Partial Load Tractors in Minneapolis,Minnesota to Searsport,Maine to Full Truckloads of Industrial and Commercial Pumps,Generators and Dryers in Beaumont,Texas to Fort Smith,Colorado and Heavy Haul Combine Loads from Decatur,Illinois to Cornelius,Oregon... We HAVE the EXPERIENCE,SKILLS and Knowledge to handle EVERY type of Freight Shipment,even Livestock Freight at Times...GO with the Professionals that CAN BE Counted on EACH and Every Time vs. the people that always call and will do it CHEAPER, which we all know comes with SIGNIFICANT Risk! Our Third-party Logistics Agency partners with One Horn Transportation to bring you our unique combination of resources, skills and experience to precisely meet your business freight needs. Our well-rounded firm delivers real integrated freight solutions by incorporating business and project management into every transaction. With 18 plus years' experience and the skill set to handle any freight move, we separate ourselves from the competition through our planning, preparation and execution. We also provide bid service pricing for our customers to win future jobs. Call. Order. Done! You need a Freight Transport specialist with the expertise to achieve maximum value by matching the right equipment with the type freight being moved for a good rate. As the nation's premier 3rd party logistics agency, we partnered with One Horn Transportation to bring you a unique combination of resources, skills and experience to precisely meet your business freight needs. Your time is too valuable to invest in answering endless freight cargo logistics questions or dealing with multiple freight broker agents. Whether your freight requests involve single heavy equipment hauling in Tampa,Florida or you're shipping equipment for seminars all over the country, let the experts at Freight Pro Source do the heavy lifting and allow you to invest that time in what you do best. After all, time is money. Benefit from the smart alternative to taking your own time away from operations to deal with freight classifications and all the other fine points of cost-effective freight shipping. We act as your freight broker agent to line up the best truck freight companies to ensure prompt, safe transport of your freight while saving you time, money and headaches. 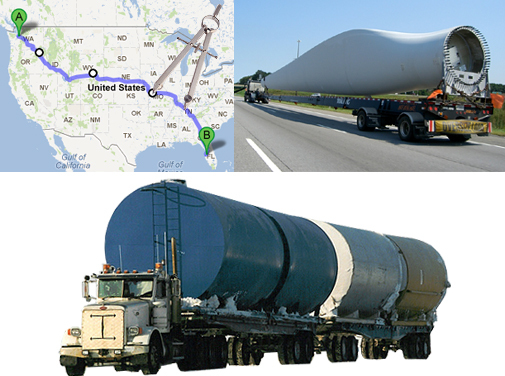 Whether you need a competent combine hauler or farm tractor hauling service, or you require multiple LTL carriers to serve your "less than truckload" shipping needs, we have the resources and experience to make it happen. As the nation's premier third party logistics provider, we know the right answers to freight cargo logistics questions. We are experts at arranging dependable, affordable farm tractor shipping. 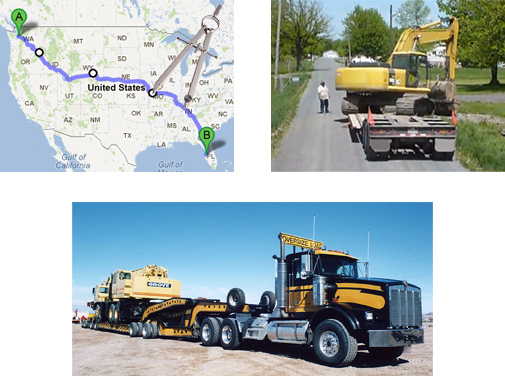 We know all about coordinating partial load transports, arranging the appropriate truckload freight carriers, and maximizing your value for heavy equipment hauling and virtually all machinery shipping. From arranging single tractor hauling or one oversize load to lining up a fleet of heavy haul trailers for a convoy, we put our resources and expertise to work to make your life easier and less expensive. Call. Order. Done! We work with farmers, co-ops, equipment distributors, dealers and agricultural suppliers to move products and transport farm equipment throughout our nation during pre-growing season, growing season and harvest. Call. Order. Done! We provide everything necessary to take care of your LTL shipping needs from the planning stage to final delivery, including help with the proper freight class. Our program doesn't waste your time with unrealistic "instant" freight rates that end up costing you more in the end. Instead, we provide everything you need in a proven system that ensures competitive LTL shipping rates and peace of mind. Call. Order. Done! Our forte. Our specialty is matching partial loads together to make sure you get the best pricing possible and get your freight delivered like it was a dedicated truck. Call. Order. Done! 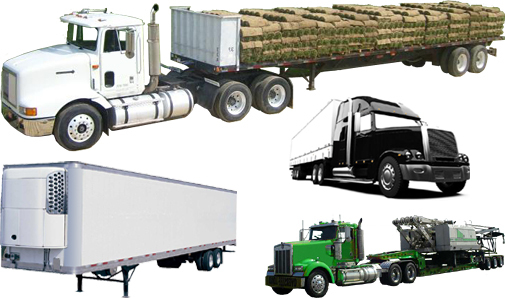 We utilize national truckload resources such as market analysis and our fleet of more than 13,000 dedicated, tested and professional carriers to provide our clients the best combination of services and pricing. Call. Order. Done! From planning the rigging and loading/unloading to coordination of the proper truck and trailer, we will move power only, flatbed, step deck and low boy type machines and heavy equipment. Call. Order. Done! Planning, researching and implementing truck movement of freight that requires state permitting for over width/height/length/weight loads. For after hours service, please call the direct number. Call (352)650-0678 with any questions about Freight Pro Source LLC Today!